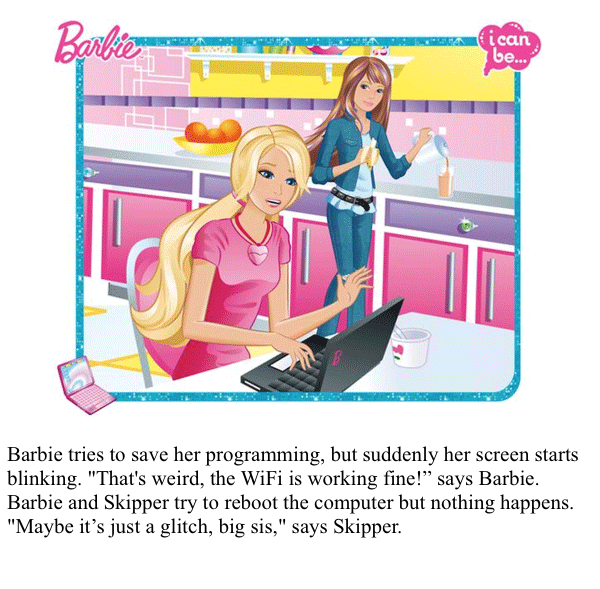 Barbie tries to save her programming, but suddenly her screen starts blinking. "That's weird, the WiFi is working fine!” says Barbie. Barbie and Skipper try to reboot the computer but nothing happens. "Maybe it’s just a glitch, big sis," says Skipper.